After the excitement of watching the African Lion brothers, we moved on as it began drizzling in Lake Nakuru National Park. Soon the drizzle turned into a heavy shower as we trudged on. 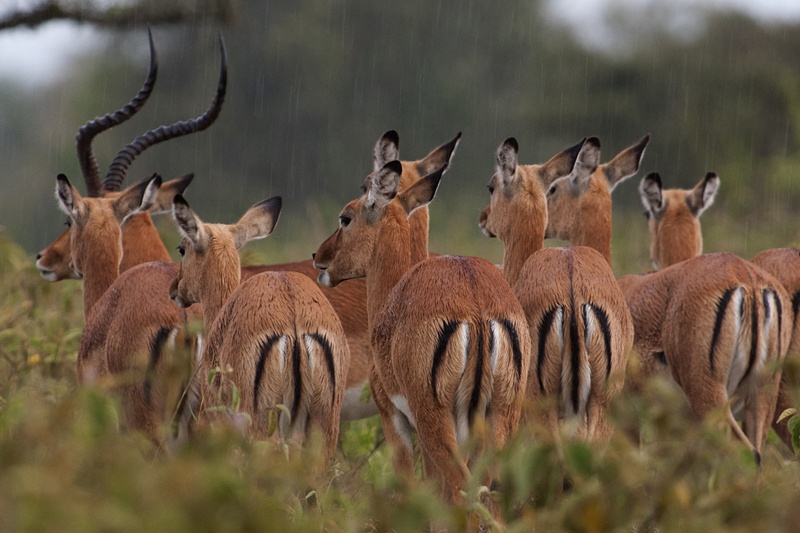 A herd of Impala were huddled together to shield themselves from the rain and I opened the window and captured the moment in this picture (below). Before we realized, the shower turned into a torrential downpour and in the blinding rain our driver and naturalist pointed out to a Lioness sitting in the tall grass close to the road. 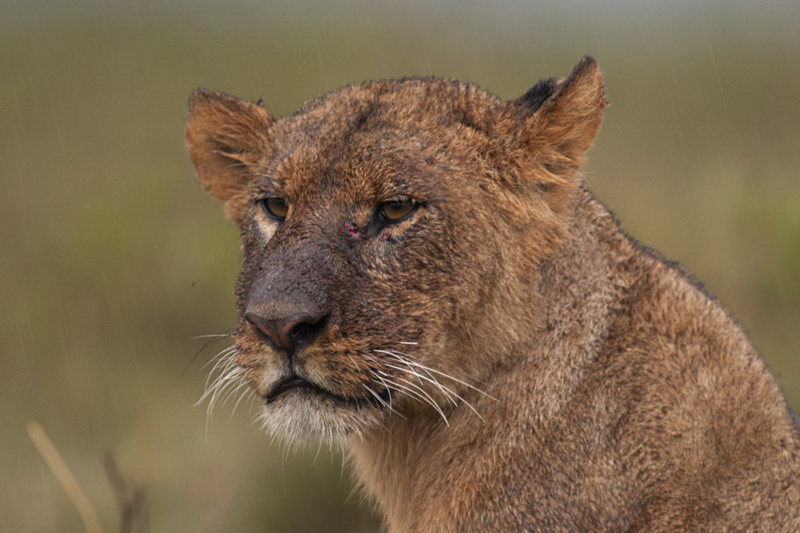 From her expressions it was clear that the Lioness (above) did not enjoy getting soaked in the rain. While we waited for the rains to subside, we heard Lions roar from the other direction and then a couple of sub-adult cubs came running and took cover in the tall grass. A little distance away we saw a few Cape Buffaloes running around. It was now clear that we have actually stumbled onto a kill scene. 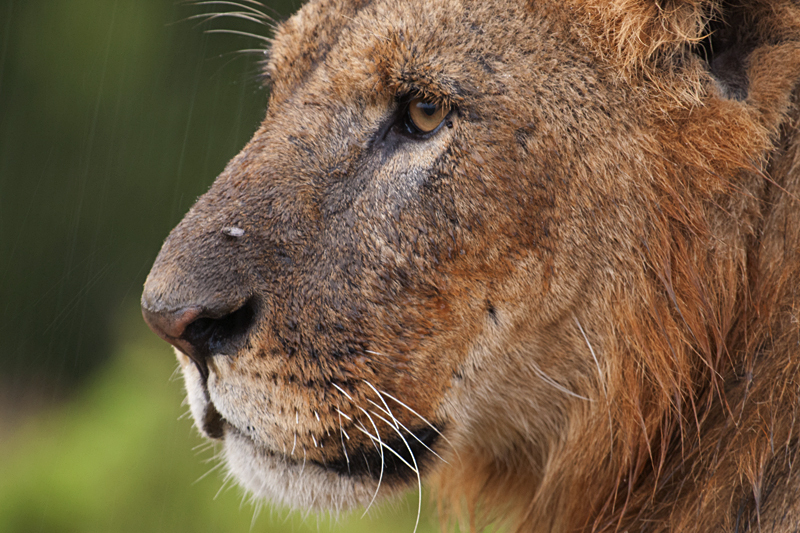 While we could not see the kill, it seemed that the pride of Lions had been feasting on the carcass when the Buffalo herd got agitated and chased them. In the ensuing stampede, the pride seem to have scattered in all directions. 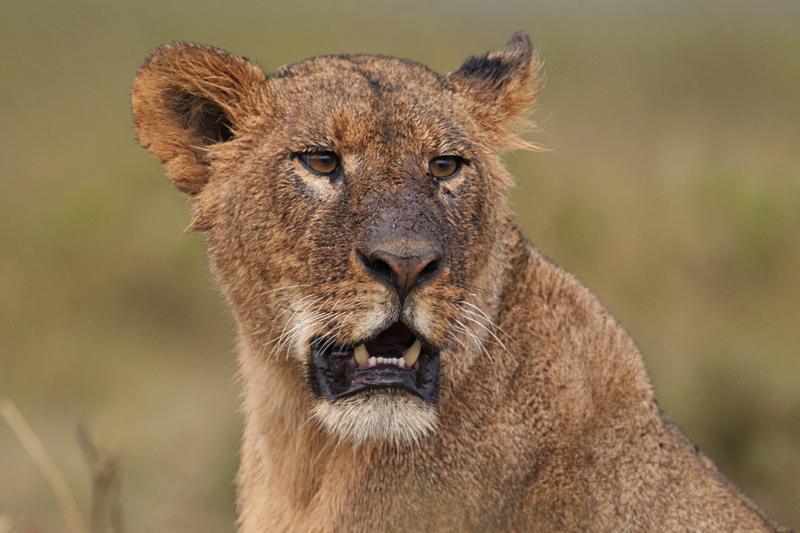 The Lioness (below) was now looking around for her cubs, who were hidden in the tall grass on the other side of the vehicle. 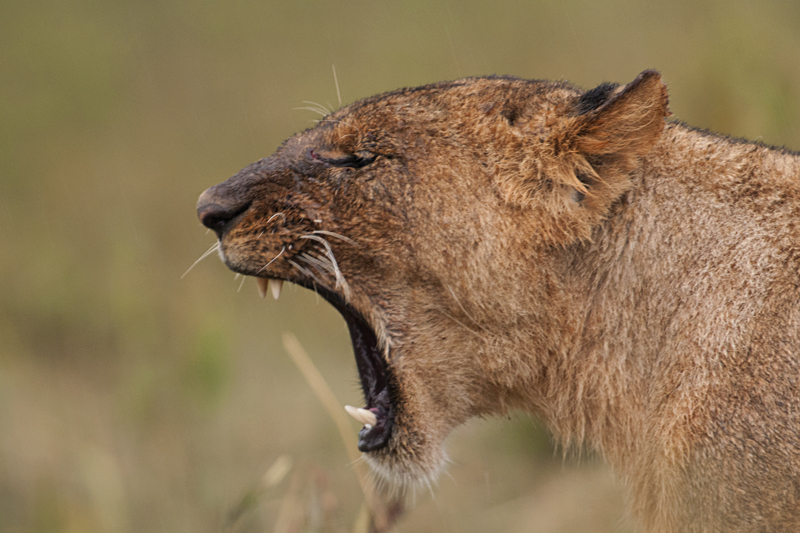 As the rain subsided and the Buffaloes moved on, the tension eased and the Lioness let out a yawn (above) before disappearing into the African bush. Soon it was time to head back to the lodge and as we started our return trip, we saw this young African Lion (below) sitting in the open and looking around, presumably for the rest of the pride. He was so close to us that at 600mm focal length he literally filled the picture. I captured his intense stare in the feature image of this post before heading back to the lodge.